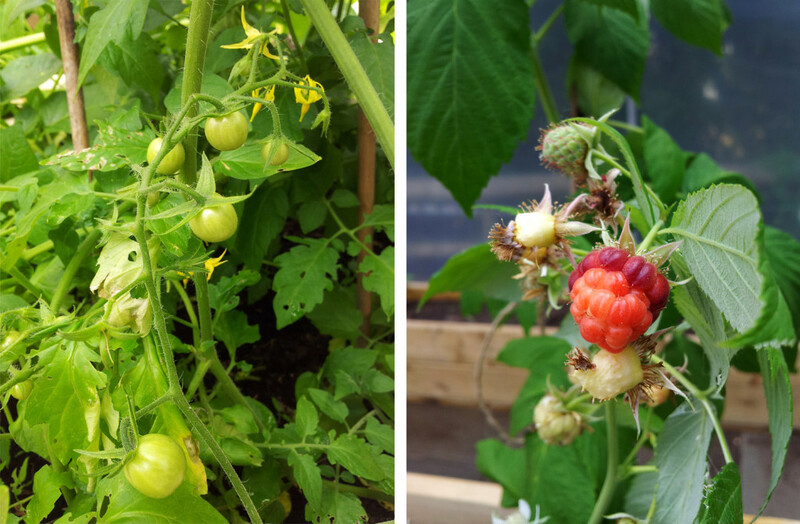 Growing in beds, our polytunnel and greenhouse. 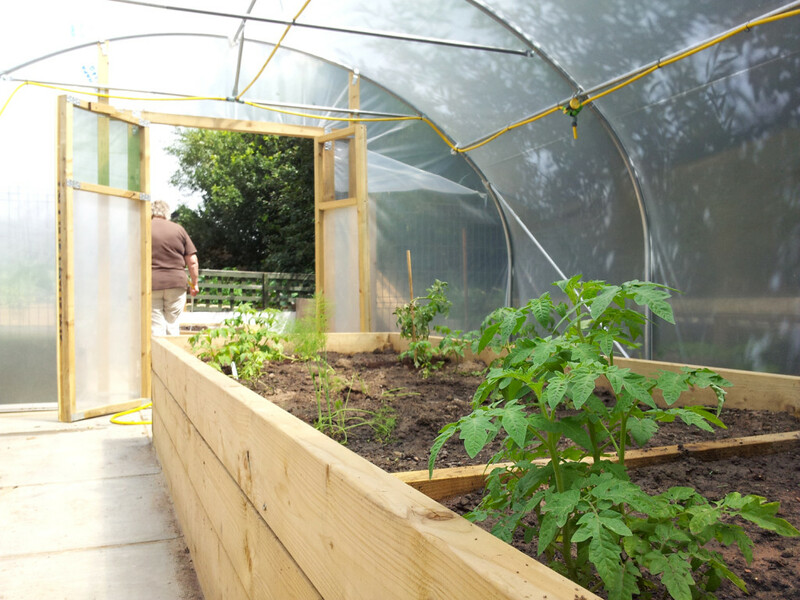 The raised beds near Pets Corner are looking fantastic and our new polytunnel is up, planted and already producing! 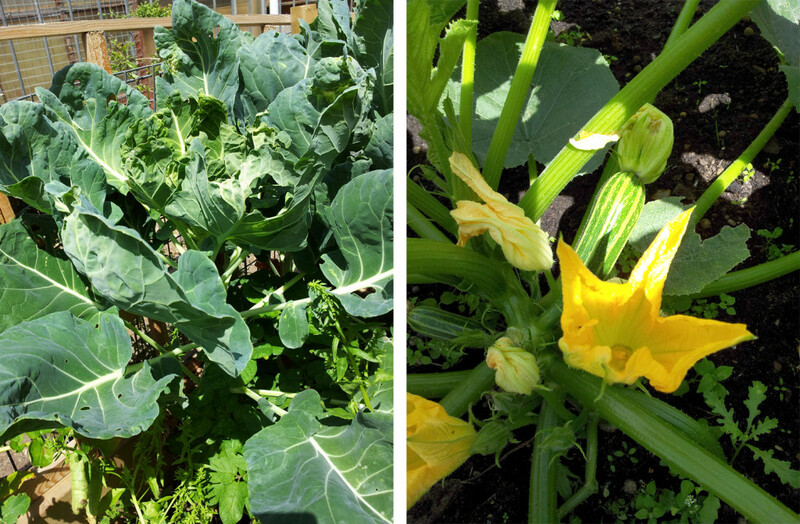 The students’ efforts are certainly paying off as lots of lovely fruits and vegetables are rapidly ripening. 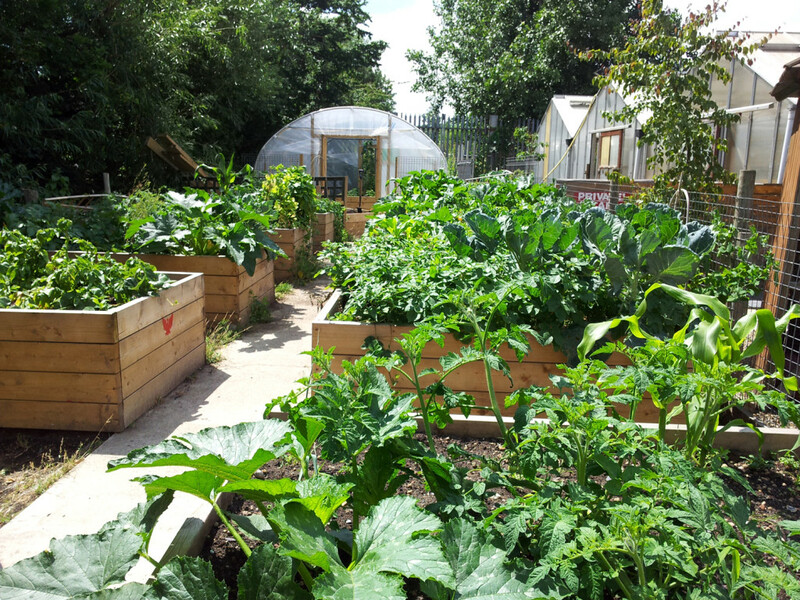 Here are a few photos from our look around the Childrens’ Growing Project with our head of Education, Denise. Well done to all of the green-fingered students from George Green’s School, Cubitt Town Infants School Bluegate Field Junior School, St. Paul’s Way Trust School and Phoenix School! 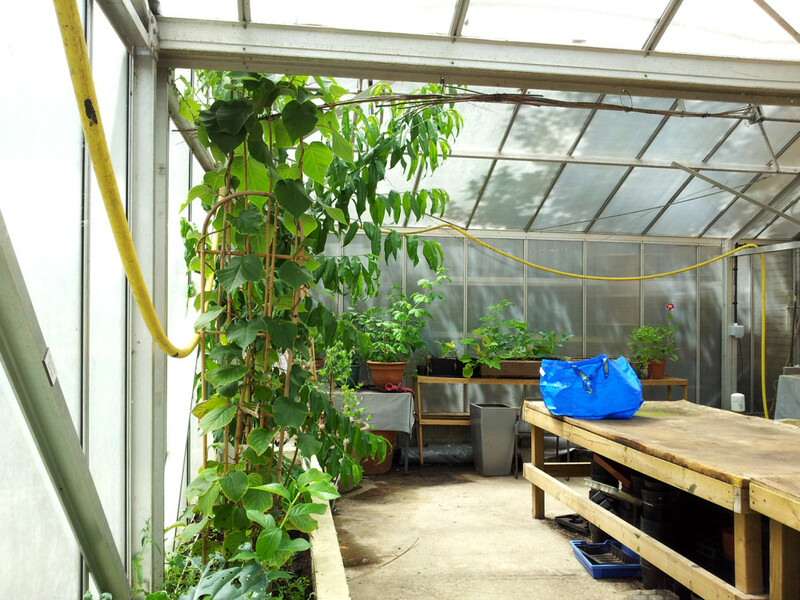 A look inside our greenhouse. 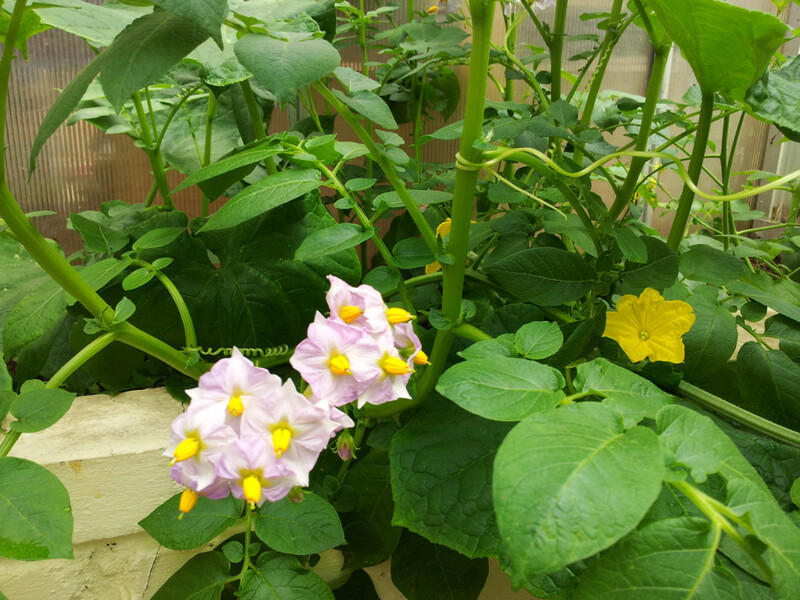 Potatoes and courgettes in flower. 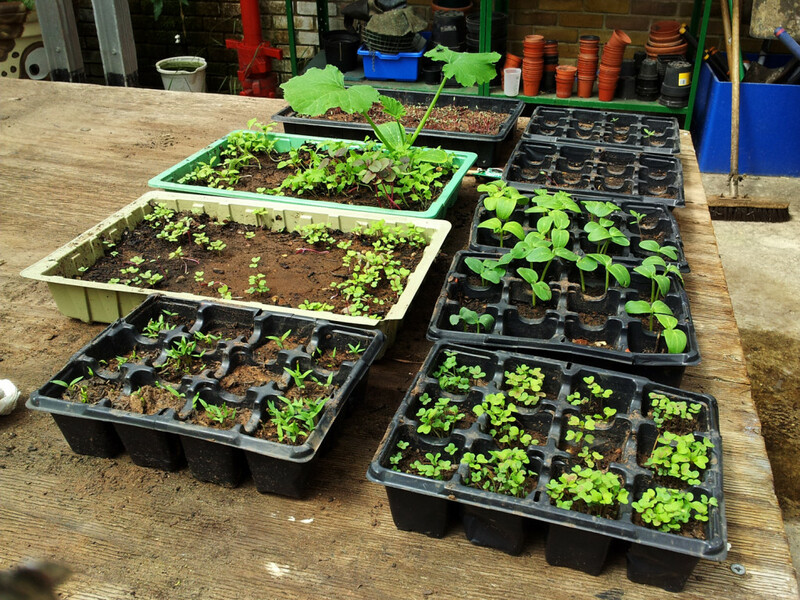 Trays full of new seedlings.